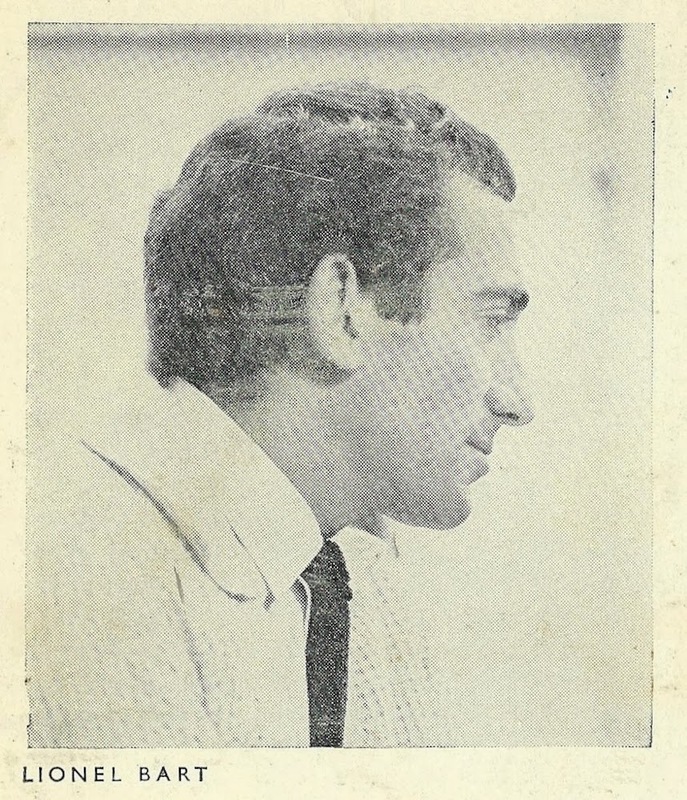 Lionel Bart pictured in 1962 on the sleeve of Blitz! 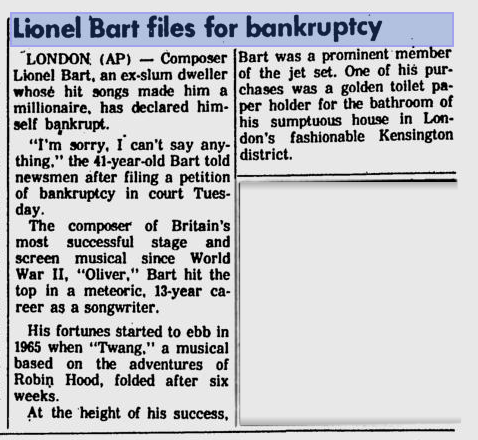 Lionel Bart’s trajectory seems nigh-on a fairy tale today. He was born Lionel Begleiter in Stepney in 1930. His Galacian Jewish parents had fled the pogroms. His talents in art (he was a scholarship boy at St Martin’s School of Art) and then music saw him rise to the very top of England’s post-war creative establishment. Oliver! opened at the New Theatre in the West End (now named the Noel Coward Theatre) in 1960. Oliver! remains his most famous show and it ran for 2618 performances and has enjoyed three successful, star-studded revivals since then. But regardless of who plays the show-stealing role of Fagin, the songs and the lyrics remain the stars of any production. Peas pudding and saveloys – what next is the question? Rich gentlemen have it boys in-di-gestion! But it's not all about the clever-clever rhymes. On As Long As He Needs Me, Dickens’s simple London girl Nancy is unencumbered by fancy rhymes. Bart’s plain speaking love song is totally in service to the character. Even the great Sondheim, as a young lyricist on West Side Story, made this mistake – his equally simple Maria is almost buried in flashy lyrics. And Sondheim was trained and influenced by the best. Bart knows instinctively when it is right to show off with language and when to rein it in. The gift of a true Cockney. And let’s not forget the sleeping partner, here: C. Dickens. Surely a composer can’t go wrong when borrowing from such a book? Think again. Back in the 60s, a musical of Truman Capote’s Breakfast at Tiffany’s failed to survive previews on Broadway; closer to home, the musical of Tess of the D’urbervilles flopped spectacularly. Bart and Dickens collaborate seamlessly. Bart comes neither to bury Dickens with his music nor praise him with reverence. Bart’s chutzpah in approaching the project as Dickens’s equal is VERY East London: we're the equal of anyone. And this delicious brashness flavours the entire work. But more important than that is empathy. Empathy is the key to the success of Oliver! : both Dickens and Bart loved London. Both men experienced tremendous poverty here. It is the perfect collaboration. Oliver! took 23 curtain calls on its opening night. Music, book and lyrics ALL. An egomaniac? I would jolly well think he was. A force of nature? Well that comes over clearly in the work. Only a boy running from the very real spectre of poverty could travel at such a lick and achieve so much along the way. Where are the 21st Century Lionel Barts in a show business establishment that seems, like our political stage, to be peopled with the privileged? Oliver! 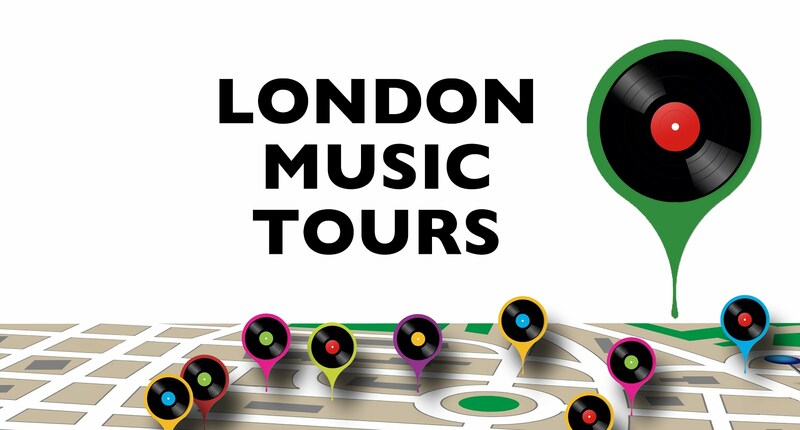 was the first modern British musical to be a hit on Broadway. It was already a hit when The Beatles arrived to play Ed Sullivan. The Beatles' impact on American popular music was, of course, instant. 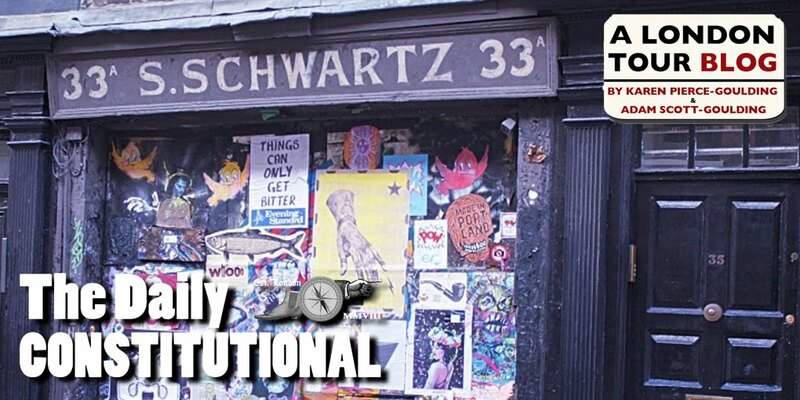 Bart’s was more of a slow-burning revolution. In Bart’s wake it was the pop-influenced composers such as Lloyd-Webber and Rice who grew to dominate the world of the musical by the 1980s. Bart was the pioneer. And he had to surmount greater obstacles than his Liverpudlian counterparts. The Fabs, let’s be honest, met with very little resistance on the bland American pop charts of 1963. Bart, however, had to hold his own in a golden age with the likes of Rodgers and Hammerstein. I never think of Lennon and McCartney as composers without thinking of Lionel Bart. Together they are the giants of mid-20th Century British popular song. We still exist in their shadows today. That all three were autodidacts only adds to their legend. Harder to love than Oliver! 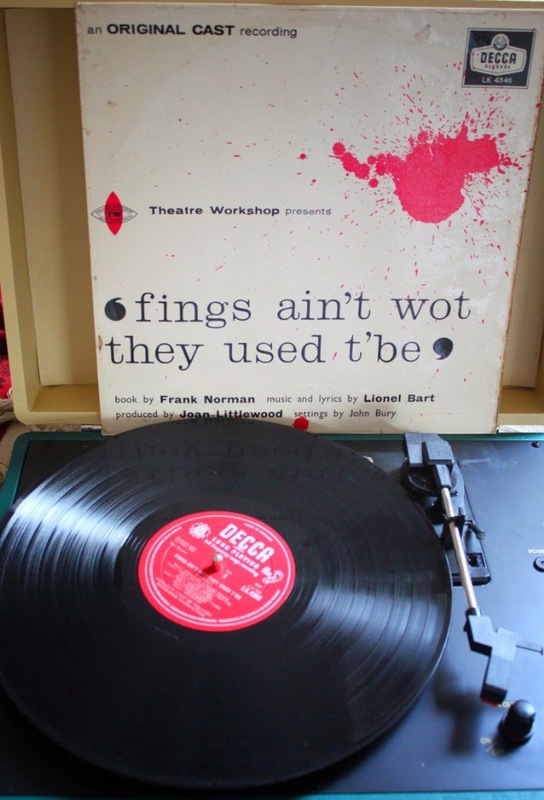 but a classic in its own right, Fings Ain’t Wot They Used T’be (1959) was staged at the Theatre Royal Stratford under the auspices of the great Joan Littlewood. More a play with music than a traditional book musical, Fings… transferred to the Garrick and ran for 886 performances. The piece brought the Cockney accent to the West End in all its profane glory in a way that was neither patronizing nor stagey. This is Brecht & Weill and John Gay through the picaresque prism of a blitzed and battle-calloused East End. Please sir, can we have a National Theatre revival? Fulfill his potential! 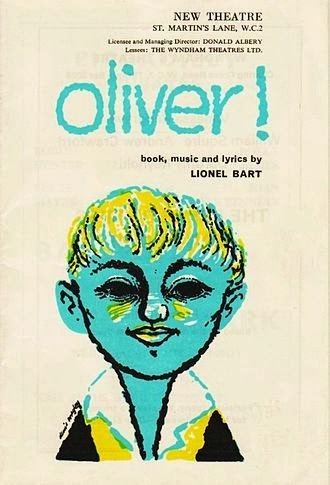 He wrote Oliver!! In this alone he fulfilled the potential of 10 composers. What a show. In his ravenous approach to life, again: what a show. If he’d been born in Hell’s Kitchen there would be a theatre named for him on Broadway. Why no such commemoration in the West End? Does his multiple-outsider status – gay, Jewish, working class – make him unfit for such an honour? Oliver! So much more thrilling than plain-old Oliver. Every! Musical! Should! Have! One! And that’s why Lionel Bart is my hero.